Note: This could be any file really, just happens to be video files for this post. 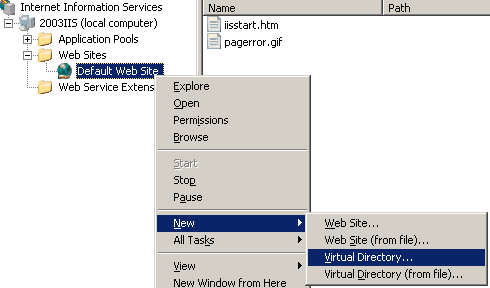 Essentially, we have a CIFS share with videos in, and to test if there’s any difference in behaviour accessing videos over the share, we want to setup IIS 6 (Windows 2003 R2 SP2) and IIS 7 (in Windows 2008 R2 SP1) to allow web-based delivery of these video files. Note: Test you can get to this share first via Windows Explorer. 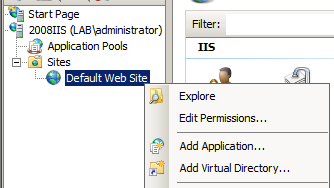 The IIS 7 setup is pretty much identical. 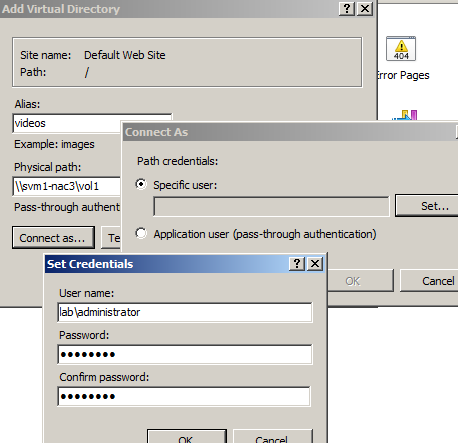 Enter ‘videos’ for alias, enter the physical path (the share), click on ‘Connect as...’ and provide the login. 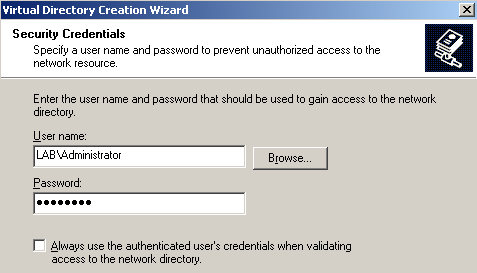 And that’s it (we don’t even need directory browsing, and by default it selects anonymous authentication.) A link like the below should deliver our movie. Note i: Volumes/Qtrees acting as just CIFS shares would usually have the default export-policy. Note ii: Only using set diag here because it usually gives more detail in the output. You have a typo in the post. the URL should be "http://IIS7/videos/moive.Mpg"